“The kids fried my brain.” How many times have you used that excuse? No one else? Just me? Well, I’ll take it. Because their little grubby hands reach into your very soul and pull out the little bit of sanity you have left. Look, I’m totally joking. Not about the excuse, I do throw those little boogers under the bus when it comes to my memory. I know you’re following with me on that one! But, even if I can’t remember anything else, I know that it’s important to do my best to memorize the scriptures. Life is so crazy hectic, especially for mamas. That’s why I’ve come up with some fun tips for memorizing scripture for adults that are practical, and easy enough to have the whole family involved! First, let’s dive into some import facts about scripture memorization. 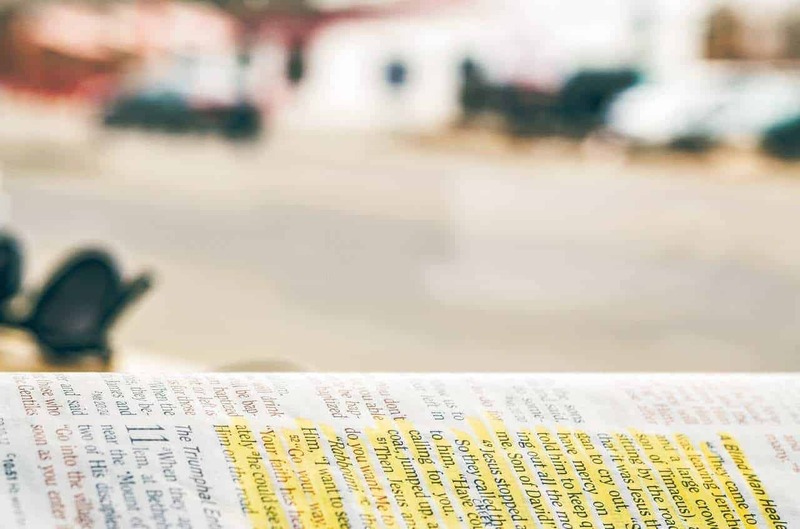 Why is scripture memorization important? We were given the scriptures as a sort of roadmap; a book full of information, lessons, history, an invitation to know God and have Him revealed unto us. Through the Bible, believers have access to the living Word of God, applying it to their lives. Just reading the scriptures can be beneficial. But studying to know them, being able to share them, and then applying them in your situation, makes them come alive in your life. They say that knowledge is power, and when you know the Word of God, you can use that “power” to defeat the enemy in your life! It also makes life easier when you can lean upon God’s word to make decisions in your life! Take little scriptures, well-known scriptures, or even verses that you know can make an impact in your life, and hold to them. Memorize these first to create a good foundation. These little victories help exercise your mind and will help encourage you to push forward! Don’t just read the scripture, say it out loud, tell it to someone. Talk to your kids about it. Memorizing scripture is not just to have a wealth of information for yourself, but also that you can make it known to someone else! Remember Spelling Words in school? Writing something down, you have a better chance to remember it. Even if it’s just one time a day, or a few times a day at different parts of the day. Whenever you can, take just a moment to write out your scripture. This is a great way to get the kids involved! If you can’t do a search and find your scripture already written out, there are more options! Check Amazon for Bible Coloring Pages for Adults or use something like Canva Free to make your own using Bubble Fonts. Before you try to memorize the scripture, know what the scripture means. Having a good understanding of what the words mean in the passages, and following the context, is a great way to be able to apply the scriptures to your life in real-time! Inside different Bible apps, you can listen as someone reads the passages to you. Listen to the whole chapter as often as you can. Just like a song, it will begin to stick with you. Or, you can record yourself reading or reciting the scriptures and listen to it on loop! Ask God to help you to read, study, understand, and memorize the scriptures. He is powerful! He wants us to know Him more and He will answer when we call upon His name! You’d be surprised how He is faithful to answer our prayers. After you read and study the Bible, think about how it applies in real time. Do you have a situation that these words can speak to? Do you know someone who would be encouraged by these words? What drew you to this? Is Christ trying to talk to you through it? Don’t just do it every now and then, really put it in your mind to it and take time out every day to come back to this. The more often it’s done, the more likely you are to remember. Plus, you should be reading the Bible daily, so this should just be a step further! What do you think? Do you have any tips for memorizing scriptures? If you’re looking for a community of women to stand by you in your walk with Christ? Then we’ve got an amazing group for you! Join us in our Facebook Community, My Real Christian Mama Life. We’d love to see you there, making connections, and participating!